So in order to help you decide which Yali’s to go to the next time you’re in dire need of some java, we at the Clog have power ranked the three Yali’s on campus according to three different metrics—aesthetic, food and drinks and accessibility. The time you have to spare between your classes doesn’t have to be spent in despair. Take advantage of each minute that you have — trust the Clog when we say it goes by fast. Whether you’ve got three hours of free time or just 30 minutes, here are some options for you to incorporate into your daily schedule. Which Berkeley coffee shop best fits your study vibe this semester? Now that we’re in peak midterm season, most of us are counting on our caffeine addictions to get us through those long nights of studying. Now’s the perfect opportunity to take a brain break and find out which coffee shop on campus you vibe with the most. Sept. 21, National Chai Day, is here, and there are so many cafes around Berkeley that’ll surely satisfy your craving. Here’s a list of the top five cafes that have some of the best chai lattes near campus. We at the Clog go through Drizzy’s roller coaster of emotions on the daily, so we decided to round up a list of the most UC Berkeley-relevant Scorpion lyrics. Students are once again filling the tables of Qualcomm Cafe after its recent reopening Feb. 28. with a new vendor — Yali’s Cafe. 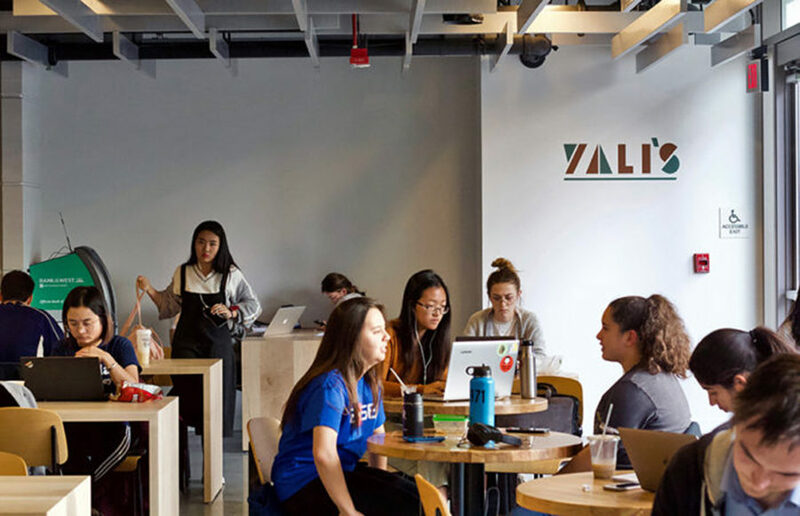 Qualcomm Cafe is set to reopen at the start of the 2018 spring semester with Yali’s as its new vendor after being closed for renovations since the end of May. Here are the top five most expensive coffees in Berkeley; we hope you will find a way to avoid these wallet-suckers and put two fingers up to gentrification once and for all.